Author and Creative Director at Schulz M. Creative Associates, Paige Braddock, will be reading from her new graphic novel to celebrate Earth Month. Released in February 2015, Stinky Cecil in Operation Pond Rescue is the hilarious tale of a group of amphibians (and one free-range hamster) who set out to save their tiny pond home from one very large steamroller. Stay tuned for more Stinky Cecil events on StinkyCecil.com, Facebook, and Twitter. We hope to see you there! 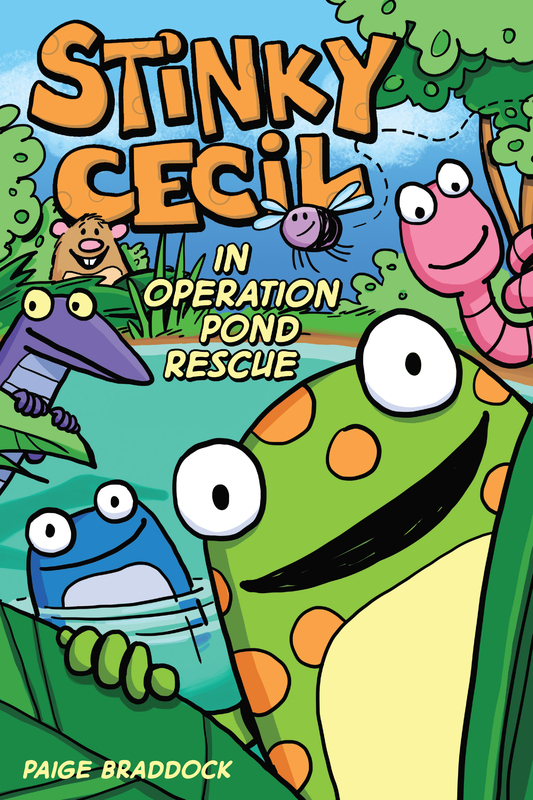 < Stinky Cecil in Operation Pond Rescue is OUT! !